"Some people let signage become an afterthought, but not Josh. He knows exactly what he wants and manages expectations from the very beginning. " This shopping center serves as a dynamic 'front-door' to a new, mixed-use development. Pedestrian spaces that link transitions between residential and commercial uses creates a highly walkable community. Retail Signage System The Shoppes at Ridenour consists of over 5 acres and 31,000 square feet of retail and office space surrounded by residential development. Josh Winter worked with Walton Communities to develop a liveable, workable master plan featuring a streetscape with attractive pedestrian and vehicular connections. The shopping center's signage system was carefully managed to give a unique identity to merchants while maintaining a cohesive identity for the shopping center as a whole. 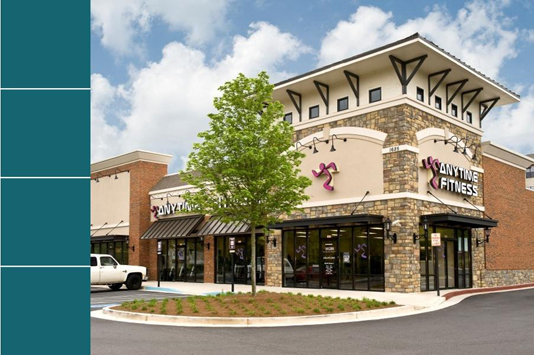 Detailed landscape plans included coordination of hardscape elements, a mixture of paving surfaces, provisions for tree replacement, placement of site furnishings, and location of plantings that provide color, shade and buffers throughout the shopping center. Special attention was paid to creating pedestrian spaces that link transitions between residential and commercial uses in a way that is pleasant, user-friendly and functional.